Welcome back for day 3 of Stamp Highlights! Today we are featuring Magic Moments! What these girls can do with stamps is pretty magical, I'd say! 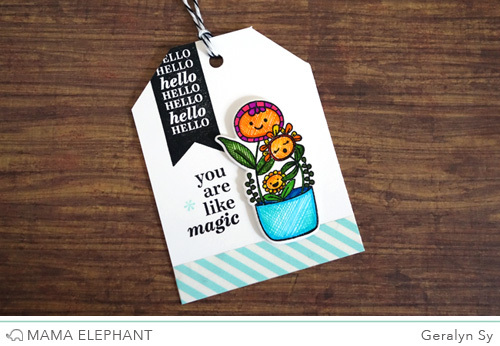 Geralyn created a cute little tag using Magic Moments and Potted Pretties. She had fun coloring in the plants with a simple crosshatching technique. We love Laura's swoopy magical background she created using one of the Landscape Trio dies as a mask along with several of our pigment inks. 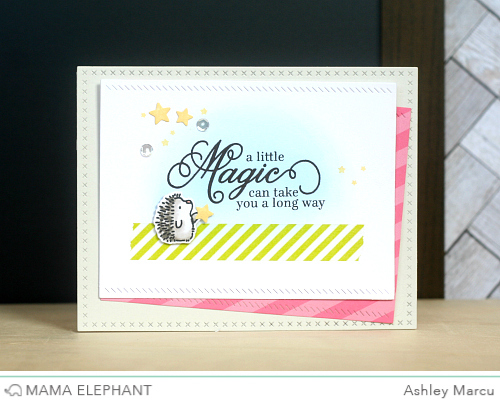 Ashley created a sweet scene around a sentiment from Magic Moments. The stars from the Confetti Creative Cuts tie perfectly in to the tiny star stamps in this set. 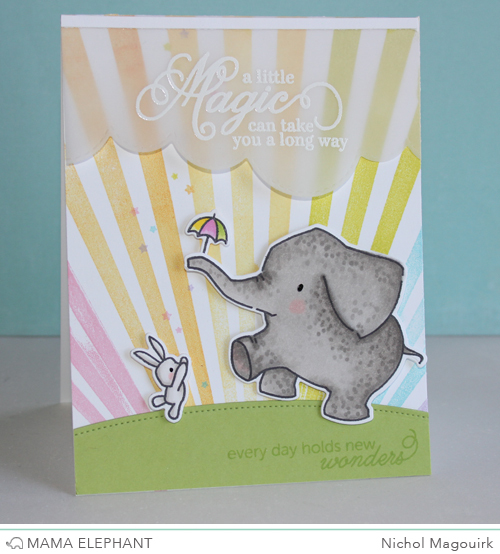 Nichol combined greetings and the teeny tiny star stamps from Magic Moments with a couple of critters from Ella & Friends and the sun rays from Sunny Skies for a truly magical card. Elena made this super adorable scene by using the hello banner from Magic Moments and some friends from Ella & Friends. How clever! The little flowers with the faces are so cute. Naturally the elephant is darling. 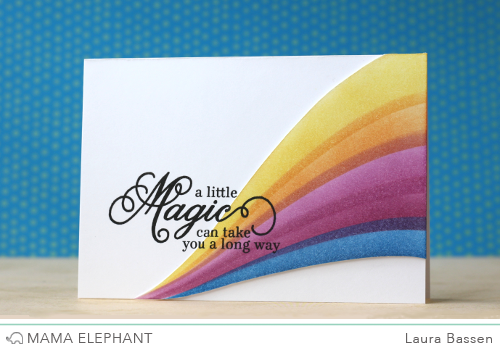 Love Laura's sweep of colors on her card. Everyone's cards are super adorable! All cards are beautiful. Thanks girls for many tips and thanks Mama Elephant for fantastic products! Magical is right...everyone's cards are just amazing!